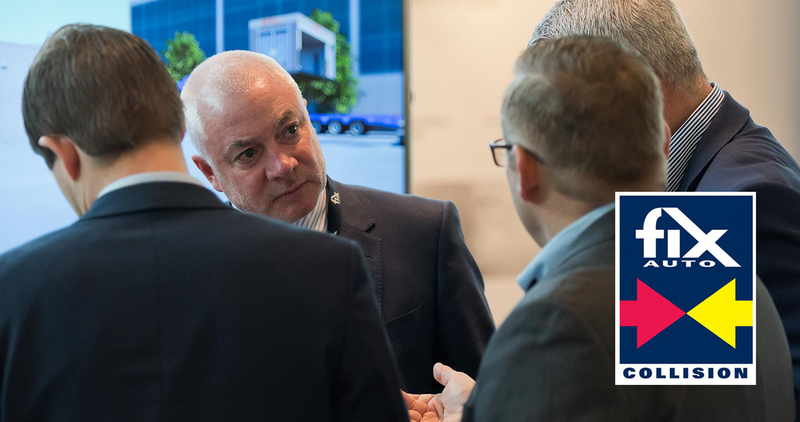 STL Spraybooth is proud to be a long-standing partner of the Fix Auto network – and is therefore delighted to be supporting their national conference. This year marks STL’s 25thyear in business – a milestone that has been marked by us further enhancing our reputation overseas. High profile contracts in North America and the Czech Republic have been completed in recent months with STL’s TEMPO moveable spraybooth and Rapid Repair Centre both impressing overseas. STL’s award-winning and patented TEMPO from STL is an amazing innovation – a moveable spraybooth that is driving up profits in the bodyshop industry. Turning traditional bodyshop working practice on its head, TEMPO is a fully compliant, high-performance moveable spraybooth. It virtually eliminates vehicle movements in the bodyshop, cutting process times, raising throughput and driving up profits. Several bodyshops within the Fix Auto network are benefitting from a TEMPO moveable spraybooth in operation, and they are exceeding all expectations. Another ground-breaking innovation from the STL team is the Rapid Repair Centre, a standalone, fully-functional bodyshop that can be installed in just a few days. The company’s innovative, process-oriented approach to design has had an impact in other areas too. STL’s unique alloy wheel powder coating facility allows for high volume processing in a single compact, multi-function cabin. And their leading downdraft and rear wall spraybooths continue to set the standards for quality, performance and energy efficiency. Under the ownership of Kevin and Wendy Dillion, STL is rightly proud of its 25 years driving innovation in the bodyshop industry. STL’s reputation for quality, integrity and professionalism is seen at home and abroad and we look forward to taking our place at the Fix Auto National Conference on 17th-18thOctober.